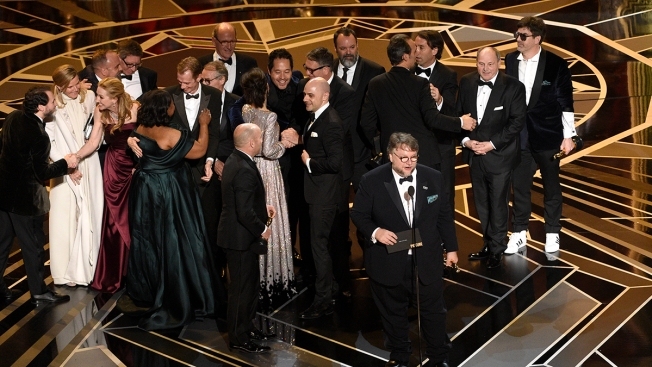 Los Angeles police say a man has been arrested for stealing Frances McDormand's Oscars trophy after the Academy Awards. McDormand received the Academy Award for Best Actress for her performance in "Three Billboards Outside Ebbing, Missouri." Sunday evening the New York Times' Cara Buckley tweeted when McDormand arrived, Oscar in hand, to the popular Governors Ball, she "had set it down and was chatting" when she realized someone swiped it. Buckley tweeted a photo of the person who allegedly "grabbed" the award and "ran out with it," telling her followers, "Wolfgang Puck's photographer stopped him, got the Oscar back, and the guy disappeared back into the ball." Apparently, Buckley told her followers, the actress simply asked security "to let him go." The actress was spotted "crying" after giving up her search, USA Today reported.